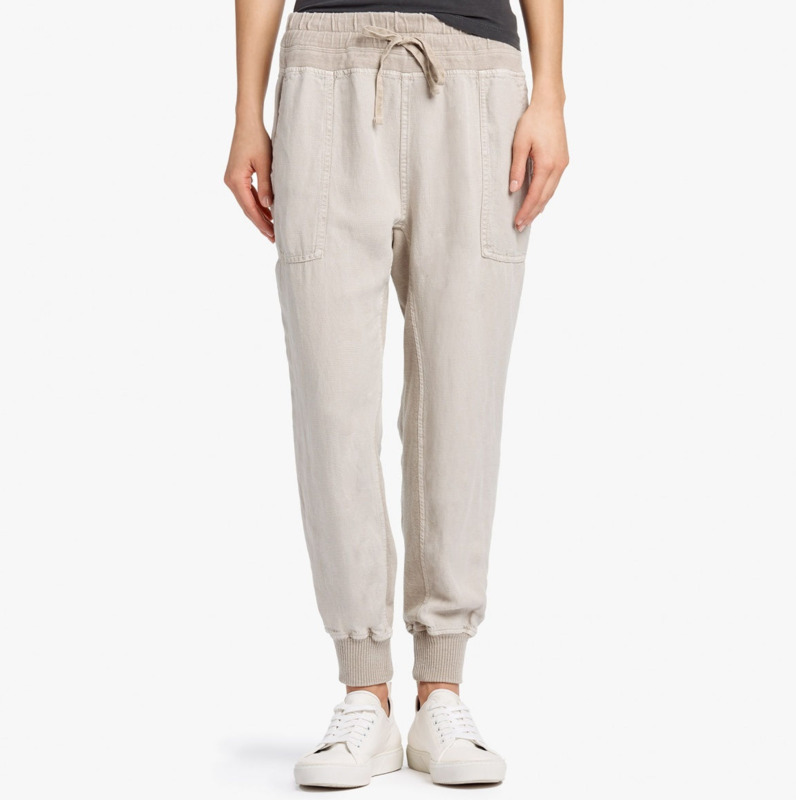 Canvas Linen relaxed pant. 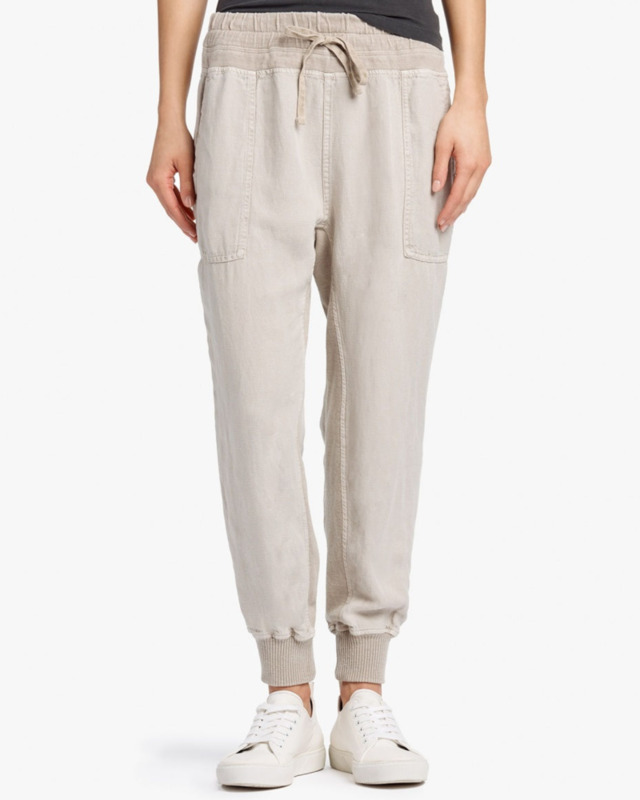 Pull-on elastic waistband with external drawcord. Front slash patch pockets. Back patch pockets. Ribbed Knit Cotton cuffs. Gusset detail along inseam. Heavy Vintage Jersey contrast fabric used for waistband and gusset. Calvary Canvas Linen blend is used for front and back panels.